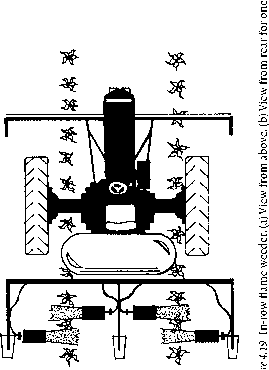 Tillage promotes germination of most agricultural weeds, provided the soil disturbance comes at a time of year when the seeds are not innately dormant. Agricultural weeds have adapted to respond to cues associated with soil disturbance because their small seedlings make them poor competitors early in life. Vigorous, well-established plants are unlikely to be present immediately after soil disturbance, and hence weedy species have been selected for germination under conditions that indicate soil disturbance. Relative to undisturbed soil with established vegetation, recently tilled ground tends to be warmer, have higher diurnal temperature fluctuations, higher nitrate concentration, and better aeration (Gebhardt et al., 1985; Cox et al., 1990; Dou, Fox & Toth, 1995). Perhaps most importantly, when tillage or natural processes stir soil, exposure to light prompts seed germination (Sauer & Struik, 1964). Each of these factors promotes the germination of some common agricultural weeds (Table 2.3). For example, Rumex crispus, Chenopodium album, and Panicum dichotomiflorum have a higher percentage germination when exposed to fluctuating temperatures than when exposed to a constant temperature with the same mean (Henson, 1970; Totterdell & Roberts, 1980) or when separately tested against the two temperature extremes (Fausey & Renner, 1997). Amaranthus retroflexus germinates best at 30-40°C (McWilliams, Landers & Mahlstede, 1968; Weaver & Thomas, 1986), a soil temperature that is unlikely to occur under the shade of established vegetation. Tillage and other soil disturbances stimulate decomposition of organic matter and nitrification of the ammonium released by decomposition. The presence of nitrate thus indicates not only enhanced availability of mineral nutrients, but also the elimination of competing vegetation. In any case, nitrate indicates favorable growing conditions, and germination of several weed species, including Chenopodium album and Plantago lanceolata, increases in response to elevated nitrate concentrations (Williams & Harper, 1965; Pons, 1989). 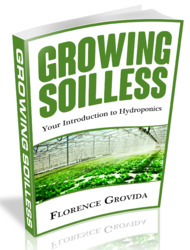 Why the seeds germinates after soil disturbance?